Powder coated aluminium Sunwood timber glazing bar for fixing to a wooden rafter. 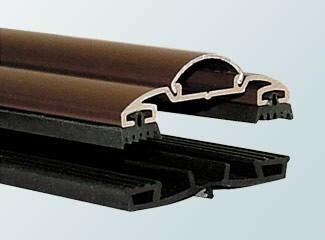 Available in widths of 50mm & 60mm. Screw down bar with a clip in screw concealment capping for a sleek finish. The bar is suitable for use with glass and all popular thicknesses of Polycarbonate.All gaskets and stainless steel screws are included. Spring Saver - buy your rafter glazing bars along with your polycarbonate from us and you can enjoy a 10% discount off your glazing bars - simply enter the code BAR10 in your basket. To get prices please select colours and sizes from the options below. What else do I need to make a Lean to Roof with this Glazing bar?